Abbie Wolf attempts a layup. The sophomore center and the Wildcats fell in a blowout loss to Minnesota on Thursday. The defense continues to struggle, and the losses continue to pile up for Northwestern. In the Wildcats’ first Big Ten game, the same themes from nonconference play continued in a 90-63 loss to Minnesota. NU couldn’t stop another dynamic wing, as this time it was guard Kenisha Bell, whose 26 points and 10 assists powered the Golden Gophers. For the majority of its nonconference schedule, NU’s defense gave up fewer points than any other Big Ten team, but the Cats have allowed at least 90 points in three of their last five games. While NU’s inconsistent offense led to several chances for the Golden Gophers in transition, Minnesota’s success from the 3-point line continued to fuel the offense, as they shot about 43 percent from beyond the arc. NU’s defensive flaws were compounded by turnovers on the offensive end. The Cats committed 18 turnovers, which the visiting Gophers turned into 17 points. Senior guard Lydia Rhode missed the game with an upper body injury, and NU took just 13 3-pointers in her absence, making only three. Without the team’s best perimeter shooter, the scoring load fell on freshmen guards Lindsey Pulliam and Jordan Hamilton. Pulliam put up 11 points in the second quarter alone, but the Golden Gophers ended the half on a 15-5 run. An early 14-6 lead for the Cats turned into a 47-37 deficit at the break. The Gophers put the game away in the third quarter, opening up a 65-43 lead after a 14-0 run — including four consecutive baskets from Bell — midway through the period as NU failed to score for over four minutes. Pulliam led the Cats with 22 points, making several contested midrange jumpers that challenged Minnesota’s zone. Sophomore forward Abi Scheid contributed 13 points — including six off of 3-point shots — and junior forward Pallas Kunaiyi-Akpanah added 15 points and 10 rebounds. 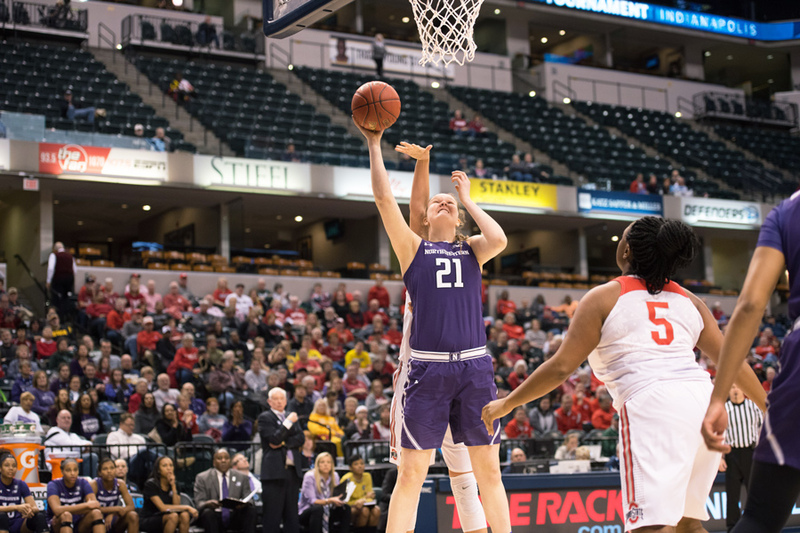 Despite her and Scheid’s presence in the paint, NU didn’t score a second-chance point. In her first game back from an injury that sidelined her for three weeks, Hamilton scored only 5 points and had six turnovers as she struggled to move the ball against Minnesota’s 2-3 zone. After a frustrating nonconference slate and a disappointing start to Big Ten play, the Cats travel to Illinois on Sunday. Correction: A previous version of this story incorrectly stated that Pulliam scored four consecutive baskets in the second quarter. Kunaiyi-Akpanah had one of those buckets. The Daily regrets the error.